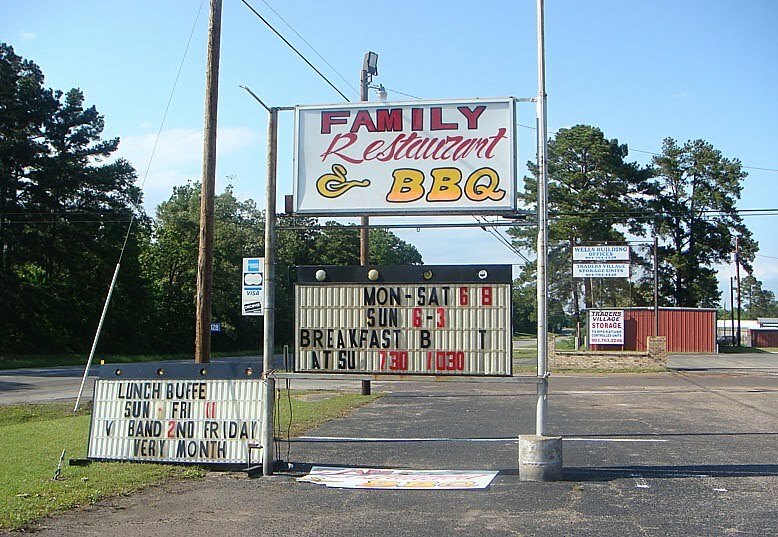 On a recent trip back to Lake Fork I noticed that Family BBQ had closed down. My fishing guide told me they had re-opened south of town but he was not sure where. 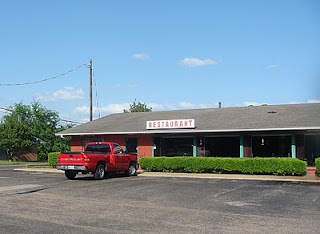 On my trip back to DFW I saw their sign on Highway 37 just south of town and made a mental note to try them again in their new location. 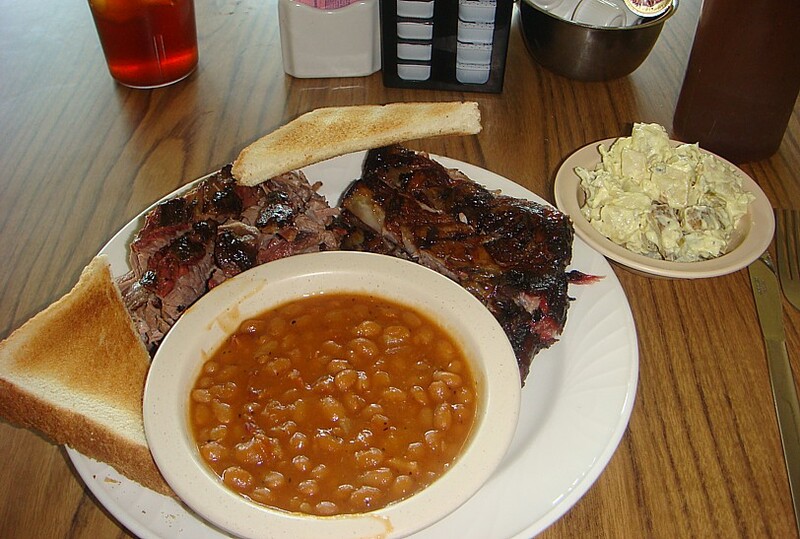 Usually, restaurant/BBQ combinations are disappointing on the BBQ side. However since these were the same folks who had a good stand alone BBQ joint previously, I suspected it would still be pretty good. 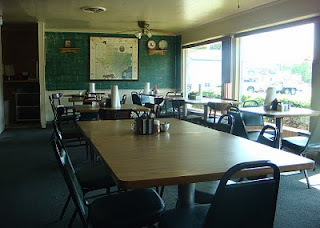 This is now a sit-down restaurant as opposed to the cafeteria styled BBQ joint they previously had. 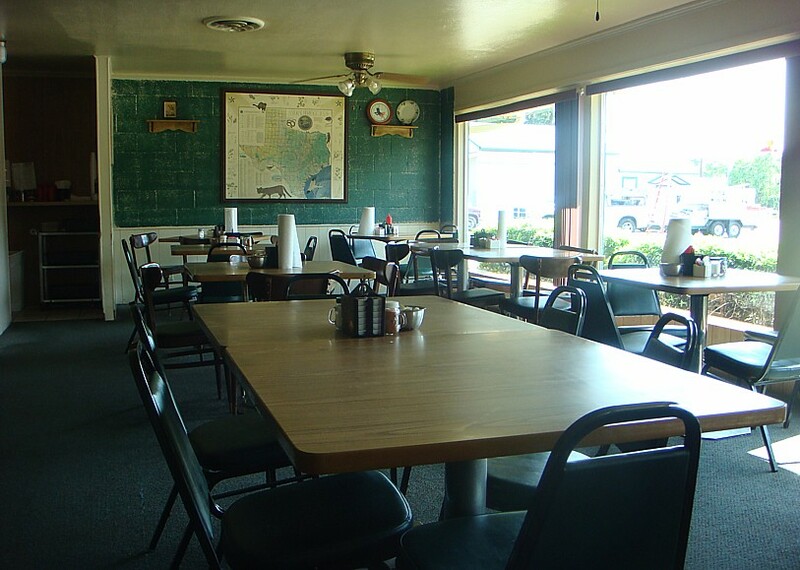 They now have a full menu with many items besides Q, a lunch buffet, and are even open for breakfast. Of course, I went straight for the BBQ. I was the only customer in the place and ordered a 2 meat plate with brisket and ribs. Sausage had been disappointing on previous trips at their other place so I didn't bother with it this time. The ribs were OK, but suffered a bit from some holding time. Not unexpected at a 4 pm visit. The bark was a little chewy in places and I only noticed sweet coating on one bite out of my three ribs. The inside was very tender but had no discernible smoke flavor. 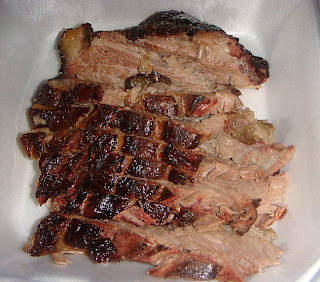 The brisket was much much better and I was happy with the nice sized serving, a half pound or so. Plastic fork tender, perfect moisture, well rendered fat that was good enough to eat (and I did), and deep smoke flavor throughout the meat. Perfect brisket. Absolutely perfect. I also enjoyed their baked beans and potato salad, though neither would win big rave-ups. The tater salad had a nice mustard tang with small pieces of onion and was of the chunky variety. The meal also came with Texas toast which is a nice touch. The nice little lady who served me said their smoker had taken a hit during the recent storms and she showed me some pictures of a tree which had fallen on it. Apparently it is still in good working order, based on that brisket. She also brought me a small piece of cake, on the house. Ya got to like that! I left a full and happy man, but I also picked up a pound of sliced brisket to go. That made for some dynamite sandwiches after fishing the next few days. My dinner was about $11 and the pound of sliced brisket was $9.95. 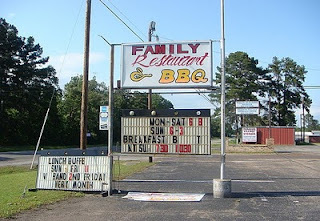 Now I don't think this place would be worth a long drive just for the BBQ, but if you are in the neighborhood it is well worth a stop. 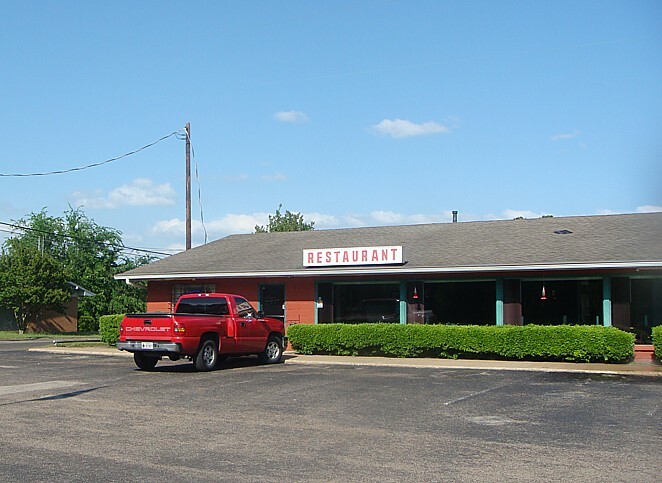 It's in the same category as Mr. B's in Grand Saline, however Family is also open Sunday 6 am to 3 pm and Mr. B's is closed on Sundays. One word about the plate photo below. I wish I had moved that big bowl of baked beans so you could see that big pile of brisket, but I guess I was too ready to dig in to be thinking straight. Just take my word on it, it was a big pile and it was delicious! Click on the photo for a larger image. UPDATE: As of July 2010 this place is closed due to fire. Hopefully they will reopen here or elsewhere.